It is quite interesting that many managers are ready to opt for speculated cost savings but are never willing to accept speculated earnings. Today, companies adopt different measures to save cost. This includes measures such as inventory reduction, full truckload, uniting batches and so on. Unfortunately, most of these companies focus on ‘cost per unit’ which, in most cases, does not convert into ‘real’ savings. Furthermore, companies reject initiatives that increase sales and improve availability simply because they doubt that the positive effects will materialize. I find it quite baffling that companies reject sales increase without much thought. Now, don’t get me wrong, I am not advocating for sales increase rather I am suggesting that companies need to have a nice blend/mix of both sales growth and cost savings. A mistake that companies should definitely not make is focusing their attention on sales growth while turning a blind eye towards cost savings. Furthermore, your cost savings would bring you little benefit if you do not have a plan in place to use them to increase efficiency, productivity, distribution, and sales. Today, managers face a lot of issues in managing the business effectively. They are so involved in these issues that they often overlook the importance of cost savings and its effect on profitability. It is important for you to know that every $1 cost saving increases the bottom line profit by the exact same amount. Here is an example. A manufacturing company has an annual sales turnover of $50 million and a fixed profit rate of 15% or 7.5 million. The percentage that the company spends on purchased goods, services, and materials is 40% of the turnover. Following is the impact 8% purchase saving can make. This shows the importance of cost savings. If you take out the percentage of cost reduction from the aforementioned profit calculation, then you’ll need to increase sales turnover by approximately $15 million to achieve a profit of $10.7 million. $15 million is a 30% increase in sales turnover which is extremely difficult, if not impossible, for most companies to achieve. Now, I’m not saying that sales increase isn’t important; rather, I’m simply stating that increasing profit through cost savings is easier than using sales increase for that purpose. An 8% cost reduction is easier to achieve than a 30% increase in sales turnover. Today, most businesses look for companies that can help them increase sales over companies that can help them reduce their cost. 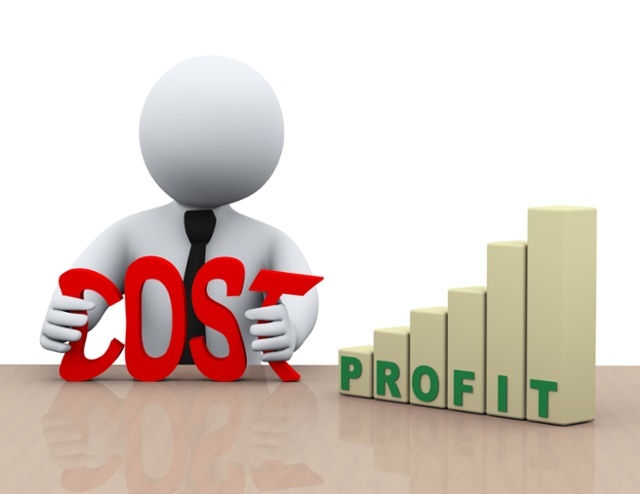 However, ‘cost management’ companies can win the confidence of businesses by providing them a strong cost saving strategy and showing them that cost reduction has more permanence than sales increase. You can increase profits by either reducing costs or increasing sales. In order to choose the right medium for yourself, you must consider your ability and the resources available to you. 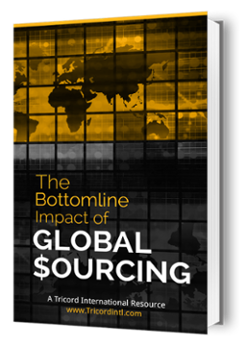 Also, since many companies are using low cost country sourcing as an effective way to reduce cost, and since company resources are limited, a viable option is to consider partnering with a Global Sourcing Specialist such as Tricord International.